It is a sorry state of affairs, and an indictment of the OECD’s broken system for trying to tax international corporations. Inequality is the terrain of one of the defining struggles of our age. For wealthy individuals, tax avoidance strategies are the equivalent of a gold mine – and those are exactly the terms with which one tax adviser describes Inditex’ tax dodges. Finally, is the word ‘legally’ truly justified in the earlier paragraph above? 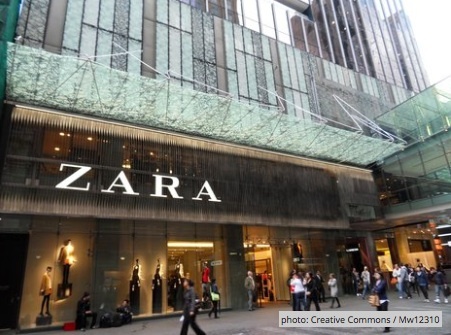 Has the Inditex structure been challenged by all the relevant tax authorities, and has it stood firm? Journalists, usually with nervous libel lawyers breathing down their necks, often put the word ‘legal’ or ‘legally’ into these kinds of stories, yet it is surely impossible at this point (and probably forever) to determine whether all tax laws have been complied with or not. Tax avoidance generally means ‘it has not been shown to be illegal’ – which is quite a different thing from saying ‘it has been shown to be legal.’ A whole world of potential abuse lies between those two poles. This an important general question, which David Quentin has explored in detail, and adds a major new angle to the tax avoidance debate. More on this question soon.